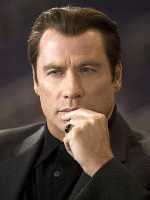 Cast: John Travolta, Uma Thurman, Vince Vaughn, Harvey Keitel, Cedric the Entertainer, André 3000, The Rock, James Woods. Story: Sequel to Get Shorty. Be Cool is the sassy sequel to Barry Sonnenfeld's 1995 classic Get Shorty, adapted from the Elmore Leonard novel. Harshly criticised by the press for being a shallow imitation of the first movie, Be Cool is nonetheless a worthy piece of entertainment in its own right. Being the sequel to such a good movie is like having a running start, but it also means it has a lot to live up to. Be Cool is indisputably inferior to Get Shorty - it feels much lighter and emptier - but it maintains the rich, detailed characterisations that make the dialogue so good and thus the film so watchable. Some of the performances edge cautiously towards clownery - particularly Vince Vaughn - but it still made me chuckle. Even the trio of racehorse names - Cedric the Entertainer, André 3000 and The Rock - are actually very good. The Rock's gay bodyguard raised more than a few laughs and the banter between Cedric and André 3000 added to the titter total. John Travolta and Uma Thurman play it straight, but the quality dialogue still holds the interest throughout. Be Cool, like Ocean's Twelve before it, has been unfairly criticised. True, the dance scene is weak. True, the singing scenes are too long. True, it's as shallow as a birthday card. All that doesn't stop it from being a good use of two hours. It's more of a self-parody than a straight sequel, a fact that is borne out by Steven Tyler from Aerosmith having an extended cameo in which he says, "I'm not one of those singers who shows up in movies. I made it this far without having to do it." The whole scene seems to be an in-joke - it develops into a desperately cheesy and silly scene, but it feels like that's intentional, and that the cast all fell about laughing once they said, "cut". Although that does leave the viewer feeling a little left out, it does nevertheless carry an infectious enthusiasm - and when The Rock does his monologue from Bring It On ... pure genius. All the gangsters mercilessly take the mickey out of themselves, Harvey Keitel pokes fun at his own screen persona and everyone seems to be having a great time. I like that in a movie, it rubs off on me. Be Cool is no masterpiece. It's not a worthy successor to Get Shorty and it's a little contrived. However, the screenplay is so well written and the acting is so good that I thoroughly enjoyed it and would recommend it to anyone who can accept it for what it is - just a bit of fun. Testosterone Satisfaction Rating: 1/5 Plenty of shooting, that's about it. To enjoy this film you should: keep your tongue in your cheek.